Acheulian tools with their associated level of cognizance heralded a major threshold in the evolution of hominin technology, culture and behavior. Thus, unraveling occurrence ages of Acheulian technology across different regions worldwide constitutes a key aspect of understanding the archeology of early human evolution. Here a team of archaeologists present a magneto-cyclochronology for the Acheulian assemblage from Sanmenxia Basin, Loess Plateau, North China. Their results place a sequence of stable normal and reversed paleomagnetic polarities within a regional lithostratigraphic context. The Acheulian assemblage is dated to be older than the Matuyama-Brunhes boundary at 0.78 Ma, and is found in strata that are probably equivalent to a weak paleosol subunit within loess layer L9 in the Chinese loess-paleosol sequence, which corresponds to marine isotope stage (MIS) 23, a relatively subdued interglacial period with age range of ∼0.89-0.92 Ma. 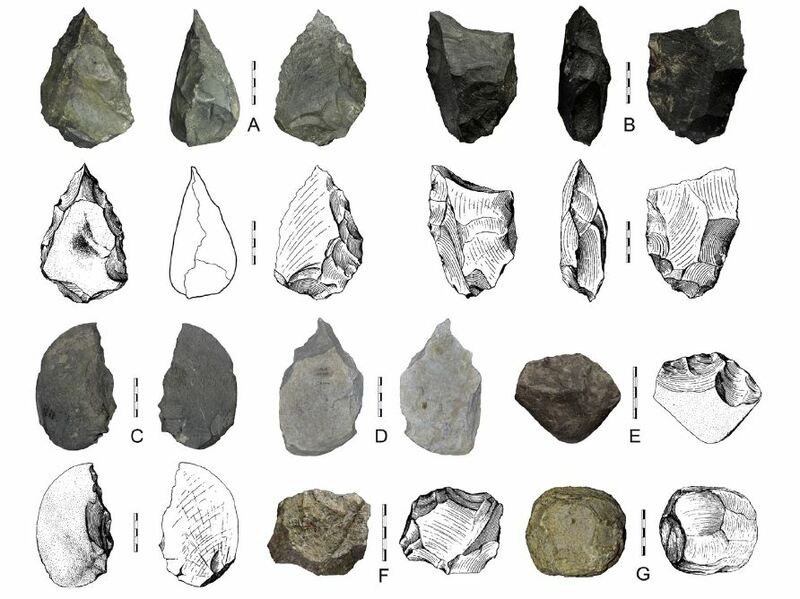 This age of ∼0.9 Ma implies that Acheulian stone tools were unambiguously present in North China during the Early Pleistocene. It distinctly enlarges the geographic distribution of Acheulian technology and brings its occurrence in North China back into the Early Pleistocene, which is contemporaneous with its first emergence in Europe. Combined with other archeological records, the larger area over which Acheulian technology existed in East Asia during the terminal Early Pleistocene has important implications for understanding early human occupation of North China.